Home / Game Recaps / Boilermakers upset by Gophers…AGAIN! 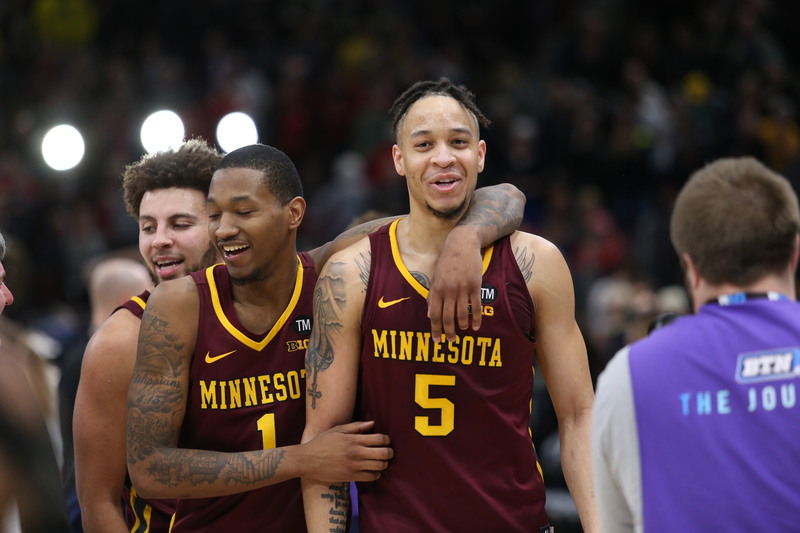 Chicago, IL – Minnesota Golden Gophers once again get the best of Purdue 75-73, but this time in the Big Ten Tournament. Haarms went 8/12 and had 16 points leading Purdue, but he just couldn’t handle Minnesota’s big man Murphy who dropped 27 on the Boilermakers going 10/19 from the field. Minnesota made it apparent early on in the game that they wanted to push the tempo, and they have the means to do that. They are a very athletic team who likes to play above the rim and they executed that very early in the 1st half with a few big dunks and got the die hard Gopher fans who made the trip to the United Center erupt. Minnesota did a decent job of holding Purdue at arms length through most of the 1st half and was able to box out, stop the inside game. Harms had a dunk as well that sparked the team, and the army of Purdue fans to get off their feet. It tied the game at 15 a piece. Purdue’s key player, Carsen Edwards, was forcing shots and went 0-3 to start the game. A big three by Purdue’s Cline got some momentum for the team, which led to Edwards being able to drive in for his 1st bucket of the game with 1 minute left in the half. Minnesota dropped a few more to end the half leading 42-39. Gopher’s Murphy, Coffee, Kalscheur, Oturu all scored in double digits in the 1st half. Purdue continued to struggle finding open shots and forcing shots early in the shot clock to start the 2nd half. Meanwhile, Minnesota continued to be patient and get easy baskets. Edwards continued to have problems on the offensive end with forcing bad passes while driving the lane. He ended up with 6 turnovers total in the game, and just 2 assists. Midway through the 2nd half, Purdue’s Eastern took over and took the team on his back. He was able to put the ball on the court and make good drives for layups. Then was able to make some smart passes that led to some BIG three point buckets by Cline. And was able to tie the game at 67 with just over 5 minutes left. With that surge of offense, Purdue was able to also get 4 players in double digits, with Haarms and Cline leading the pack. Purdue’s Williams was able to make some good post moves and shot to help take the lead 71 to 69, and his 9 rebounds gave Purdue plenty of second chances. With the final minutes of the game looming, the Boilermakers just couldn’t get the ball to fall and went on a 3 minute scoring drought going 0-5 and making just 1 of their last 7 shot attempts. With the score close at 73 to 75, Purdue had one last chance to move on and inbound the ball to Edwards who took a last second contested 3 that just fell short and hit the rim. 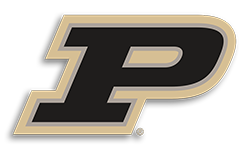 Luckily Purdue, who shares the Big Ten regular season championship with Michigan State, has played fantastic all season, despite the lack of buzz surrounding the team most of the year. They will most definitely be getting an invite to dance, we just aren’t sure what spot they will get yet. The selections will be announced Sunday night at the conclusion of all the conference tournament games. ← Previous Story Indiana falls to Ohio St.